A new report on the status of orangutans indicated a shocking decline in their populations. Published on Current Biology, the report titled “Global Demand for Natural Resources Eliminated More Than 100,000 Bornean Orangutans” shows an urgent need for better resource planning in the orangutan’s home ranges in Malaysia and Indonesia. This should not come as a surprise to anyone who has monitored the development of Malaysia and Indonesia in the last two decades. Developed countries have already shown that the price of development is biodiversity. As the predicted needs of more humans for vegetable oils, in particular palm oil, grows, can this crop be grown sustainably? 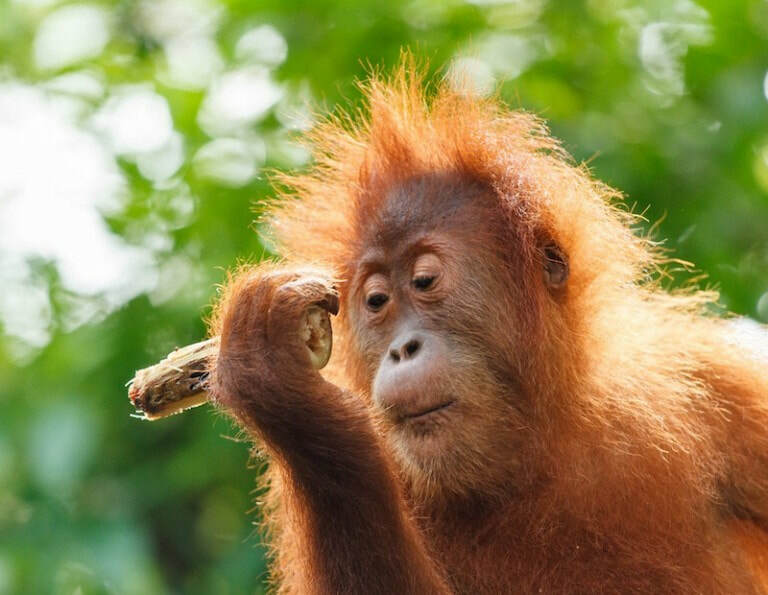 This report in using the orangutans as the icons of conservation in Southeast Asia comes at a good time when major consumers of palm oil including the European Union( EU ) are considering a ban on palm oil based biofuels due to deforestation and species extinction. A few things should be noted from this report which identifies the killing of orangutans by local communities as a main cause of their population drop. Achieving the balance between the need for development and conservation will be a difficult challenge indeed but Sabah state in Malaysia has shown it is possible as it continues a pioneering effort to create a sustainable land use plan. In defense of its wildlife management, the Sabah Wildlife Department issued a strong rebuttal against the claims in the orangutan report which was supported by two of the authors from the original report on orangutans. In light of all the knowledge on the importance of landscape planning to find a sustainable balance and the fact that Sabah has a working model, the remaining jurisdictions that are home to the orangutans must develop their own land use plans if they do not want their natural resource products to be tainted with orangutan extinction.